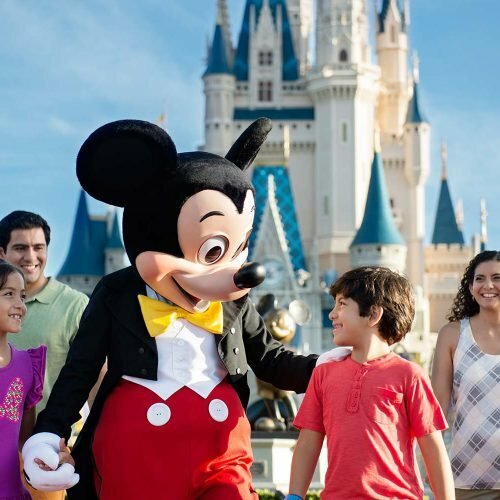 Walt Disney World vacations have the distinction of being one of the most popular family trips in the world. It’s also the largest theme park in the United States, covering over 40 square miles and making it about the size of the city of San Francisco. This should give you some idea of the amount of ground to be covered in such a massive theme park. This place is huge, and is comprised of four major theme parks, an area known as Downtown (featuring family attractions, many dining options and lots of shopping), two fun-filled water parks, a couple of top-rated golf courses and much, much more. Disney Magic Your Way Park Hopper Tickets allow entry to more than one theme park per day. See it all! 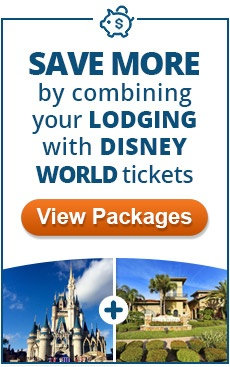 This ticket option gives you access to all Walt Disney World’s attractions and water parks! When you think about Disney World the image that pops into most people’s mind is the Magic Kingdom. This is Disney World’s largest and most popular theme park with and it is home to Cinderella’s Castle. If you are going to Disney World, you must visit this magical theme park. EPCOT, at twice the size of the Magic Kingdom, is an acronym for Experimental Prototype Community of Tomorrow and is divided into Future World and World Showcase. With an eye to the future, you’ll glimpse the world of tomorrow today and then travel the globe in all its radiant beauty. As the largest of the four theme parks, Disney’s Animal Kingdom Park encompasses adventure and entertainment beyond your expectations…even throwing in some education and research to the mix. Home to more than 1,700 animals from 250 species, it rivals any African safari. Disney’s Hollywood Studios offers a back stage pass to Hollywood’s filming with action-filled live shows, exciting attractions and a variety of special events. Experience movie magic by entering the world of Hollywood as only Disney can show it to you…like you’ve never seen it before! Disney’s Typhoon Lagoon features fast waterslides, 6-foot waves in the surf pool and Shark Reef (where you can snorkel with real sharks!) 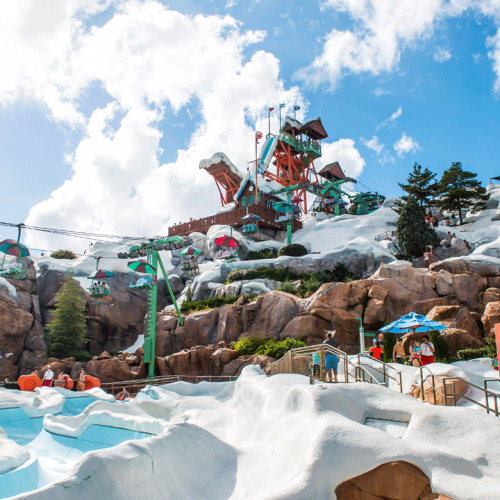 and Disney’s Blizzard Beach features one of the world’s fastest and tallest waterslides. A guarantee of a wet and wild time for your entire family! Disney Springs is the shopping and entertainment district at Walt Disney World formerly known as Downtown Disney. If you’ve ever visited in the past, you’ll hardly recognize the area that once contained the Marketplace, Pleasure Island, and the West Side. Below is a helpful planning section to assist you in making the most of your Disney World vacation planning. Here you’ll find information on all of the Disney World attractions, from a general overview of each theme park, to dining options, to some lesser-known Walt Disney World facts, and special needs planning resources – all of which will help you plan the perfect Disney vacations! To get started view our vacation planning 101 article to make putting together the ideal trip a breeze! If you are traveling with someone with special needs, we can help to ensure your Disney World vacation is as comfortable as possible with tips, ideas and special options for those with special needs. Disney has not overlooked those who require extra assistance…and here you’ll find ways to ensure you (or your loved one) will receive some TLC…Disney-style. 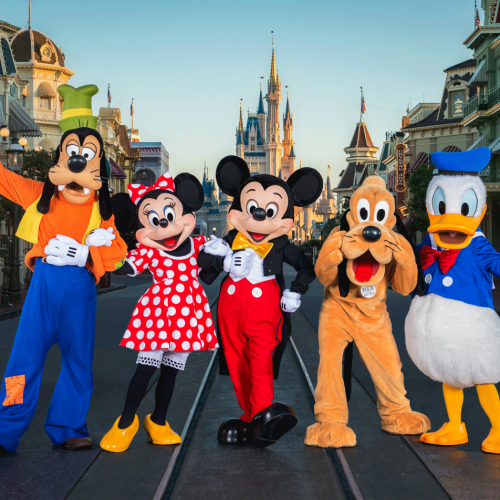 This section encompasses some of the little-known options to touring Disney World, from a behind-the-scenes tour of the Magic Kingdom to learning about some hidden themes your family can look for within the park. All you have to do is book your vacation through us and we will send it to you in the mail. $35 value and priceless for getting prepared for your trip! Fun facts are just that…fun, plain and simple. Trivia, history, facts (both technical and interesting) are covered here. We’ve listed everything we know…but feel free to email us if you find some more. We’d love to hear! Disney’s Wedding Pavilion was deliberately situated in a specific way so that while standing at the altar, the bride and groom have a perfect view of Cinderella’s Castle! Although you may think that Cinderella’s Castle is made of stone, it’s actually entirely built of fiberglass? Spaceship Earth (the iconic centerpiece of Epcot) weighs in at a staggering 16 million pounds? That equals more than 3 times the weight of a space shuttle fully fueled and ready for takeoff! The Tree of Life, (the centerpiece of Animal Kingdom) is 14 stories high and 50 feet wide at its trunk? More than 1.6 million turkey drumsticks are gobbled (pun intended) every year in the Disney parks? On October 3, 1996, The World of Disney Store, the largest merchandise location of its kind (at over 50,000 square feet) opened in Downtown Disney Marketplace? The waves in the Surf Pool at Typhoon Lagoon are one of the world’s largest artificially created waves? Every ninety seconds, waves crash to the shore of a pool that’s twice the size of a football field! In the 1980’s, Disney execs began incorporating “hidden mickeys” throughout the park? Today, there are over 200 of them.